Alysse Dalessandro is new to my circle. As women in small business, we’ve connected over the last year. Through our communication, I have really enjoyed my interactions with Alysse. Not only is she kind and supportive, she is truly someone who aligns herself with a “women supporting women” philosophy. Alysse is bold, brave, creative, and powerful. She is the owner of Cleveland-based fashion brand Ready to Stare. 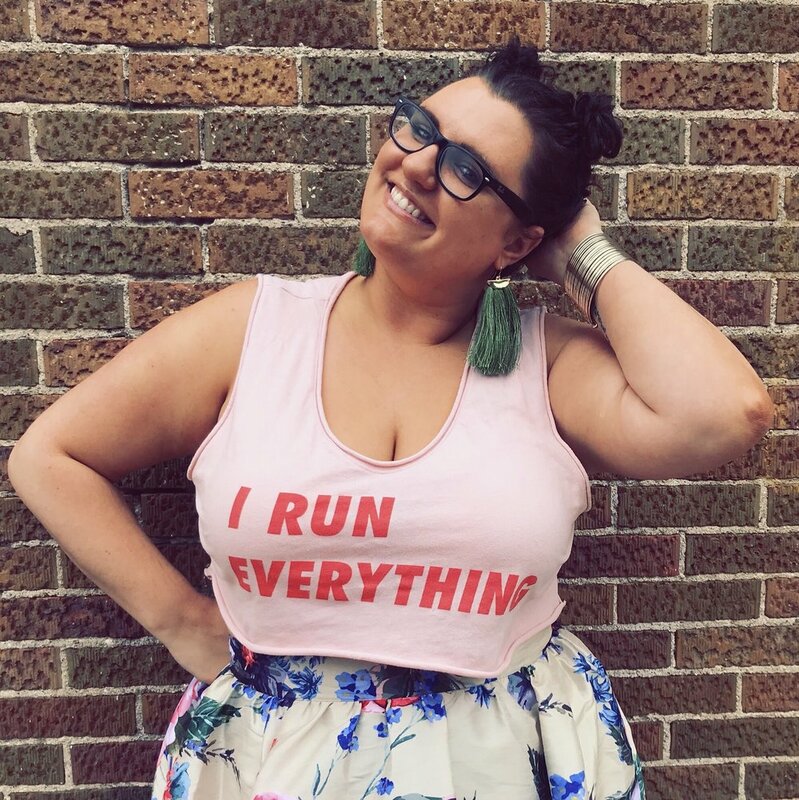 A jewelry designer, trained metalsmith, creator and self-empowerment advocate, she handcrafts statement jewelry and bold plus size apparel with an unapologetic confident attitude. Ready to Stare is designed for those who believe in following their passion, loving themselves and inspiring others to do the same. I haven’t officially announced it yet, so I’ll take this opportunity to do so! On April 19th, Alysse, and I will be doing a trunk show at Blair - a plus-size boutique in Chicago! (Find out more about our event here!) I cannot wait for this in-person shopping event! It is so wonderful to be able to work on new projects like this in collaboration with other powerful, entrepreneurial women. I admire Alysse’s drive, business savvy, body positive passion, and collaborative spirit. As I expand my networks, I feel very fortunate each time I make a valuable connection with a strong women in small business. I am thankful that Alysse has taken the time to engage with me and my growing brand. Alysse is a woman full of inspiration! Read about what and who inspire her as well as advice she would share with her younger self. . . Check out Alysse’s brand, Ready to Stare, at www.ReadyToStare.com! And, on Instagram at @ReadyToStare!